These unique original features have withstood the test of time and resisted the whim of remodelers over the decades. 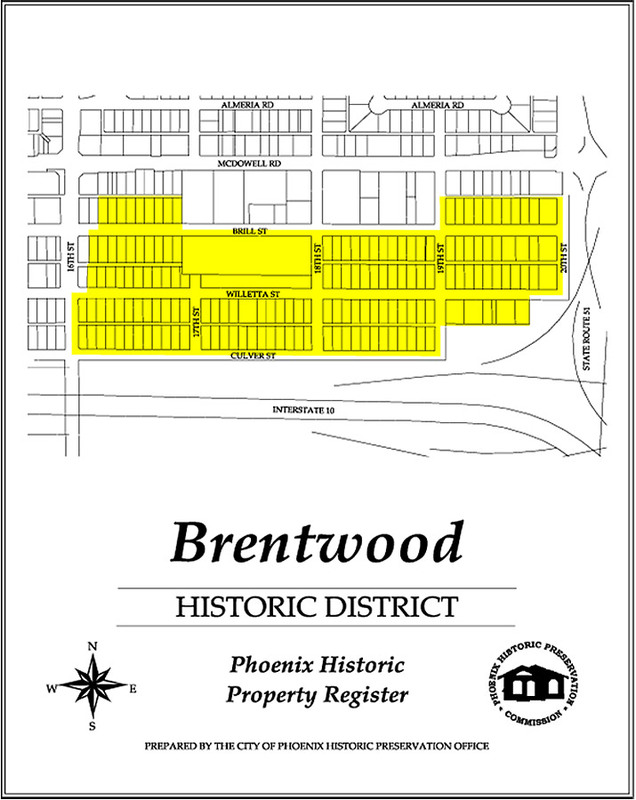 If you are looking for authentic historic details, Phoenix’s Brentwood may just be your place. The houses are generally around 1200 square feet but with wide archways and high coved ceilings they live much larger. The District itself is also small –only 3 blocks tall and 4 blocks wide— but that doesn’t stop it from making a big impression. One of the star attractions in Brentwood is the people. This flourishing neighborhood had fallen prey to gangs in the past, but through the activism of the neighbors, it is definitely on the rise. Arnie and Isabela moved here thirty years ago because they loved the cozy house with intricate brick detailing. 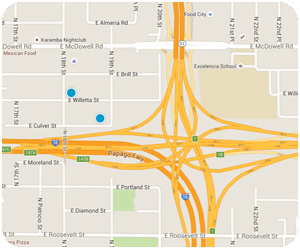 Dianne, as a new lawyer twenty years ago, choose Brentwood for its central location. In February 2010, they were joined by the new kids on the block to paint an elderly neighbor’s home, celebrate Brentwood’s historic designation with their first Home Tour, and plant the easements so that tree-lined streets will be part of Brentwood’s future. These people have good energy! On the edge of Coronado’s “Gourmet Ghetto,” you’ll find fabulous Mexican restaurant choices everywhere you turn. Don’s favorite tacos are only a walk across McDowell, served out of the little dive “carport” taco shop on the northern wall of the Hacienda Restaurant at 16th Street. Order the unforgettable al pastor (marinated pork) street tacos complete with lime wedges and sliced radishes! Maureen would travel a little farther east on McDowell to Rosita’s, a Phoenix landmark in and of itself, still serving some of the best chicken enchiladas and Margaritas in the city. And for pet lovers, Ryan’s Pet Supply offers screaming prices on everything except food for Felix and Fido. Primarily an internet-based and catalogue supplier, Brentwood is home to Ryan’s central warehouse. Even if you don’t decide to make Brentwood Historic District your home you are welcome to shop the warehouse shelves, Monday through Friday, 8:30a-5:30p. (Minimum purchase $25; bring Fido in but check your purse at the door.) 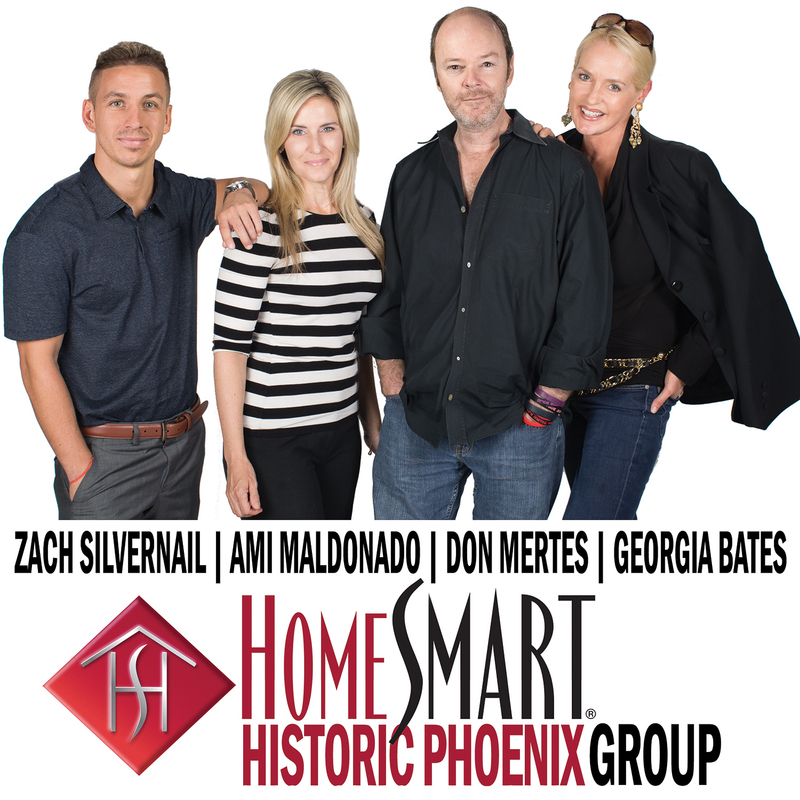 1805 E McDowell Road.